If you are store owners any Online Store, surely the questions can be raised: “How to Boost Sale? How to Increase Customers Interest? Tips to better Rank on Search Engine? And blah blah…” All of them will make you strongly headache and stress. 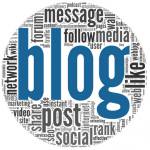 And the blog “ n+ Tips & Trick to better Sale, Marketing for Magento 2 Store, etc” is not exactly what you need. If you analyze Ebay or Amazon Market – Popular & Powerful Marketplace, you will see the best Rank and it’s super hot with Auction Online. By auction online, these markets can already attract numerous customers potential and push the competition to the highest level. As a result, a huge series of products can be sold drastically. In addition, time on site, customers view & traffics & SEO Optimization becomes crucial factors which improve SEO Rank on Search Engine. 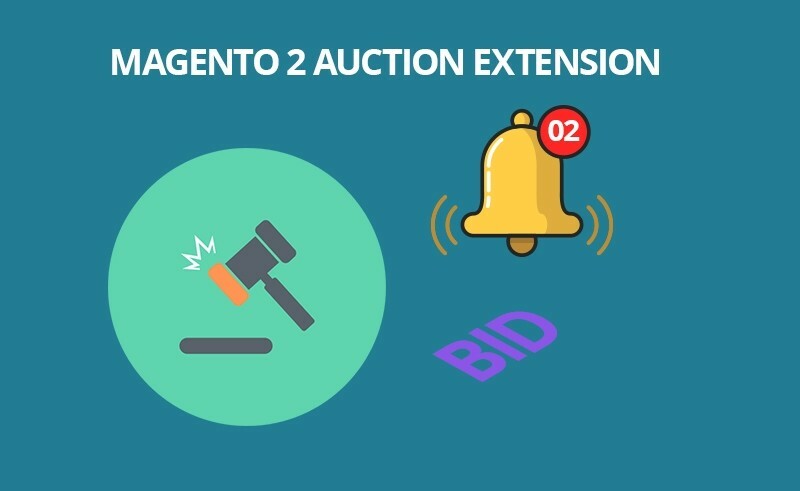 With our Auction Extension for Magento 2, it supports to build an Attractive & Professional Auction Page to better SEO and offer limited products for bid, taking bids and sell it to highest bidder by owners. 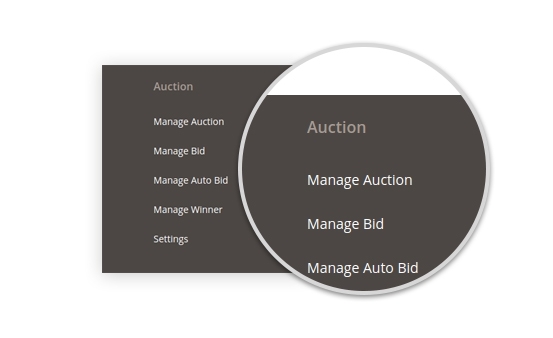 Moreover, it is very easy to create & use, powerful Auction manage, 2+ Auction Support Type, Automatic Auction, Reserve Auction, Incremental Auction for their product set. 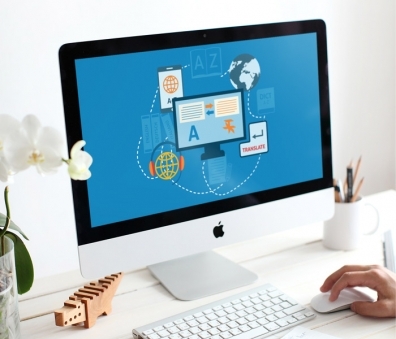 So your customers will get wonderful experience on your Auction Page. Plus, you can improve your rank on the search engine by climbing of time on site and your product value bring. And don’t wait time any more. Our Magento 2 Auction Extension will help you do as well. Attractive page is one of key factors to evaluate the professional design & keep customers view when visiting site. Collected all Auction Products in only one page with Impressive Highlighted Auction Information such as Start/End date/time/ countdown and detail instructions. Compared with normal market & auction market, you will see the “hot” temperature. A value product & limited product with reasonable price or even extremely cheap if you are winner in taking bid. All customers are able to take many bids in the fixed time. So it will increase customers excitement & interest significantly. 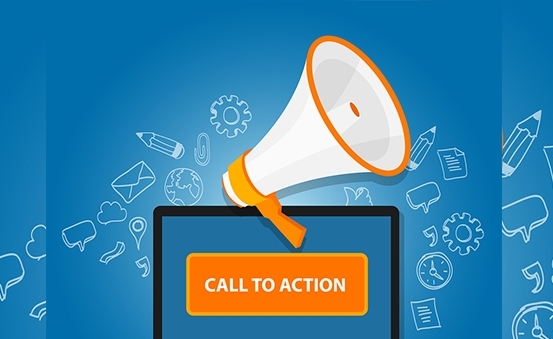 Limit time, Valid & High-quality product, Reasonable price, Huge customers take part in auction will make auction more power in ‘Call to Action”. High competitive, less time to bargain helps customers make their purchase quickly, no more time to hesitate. 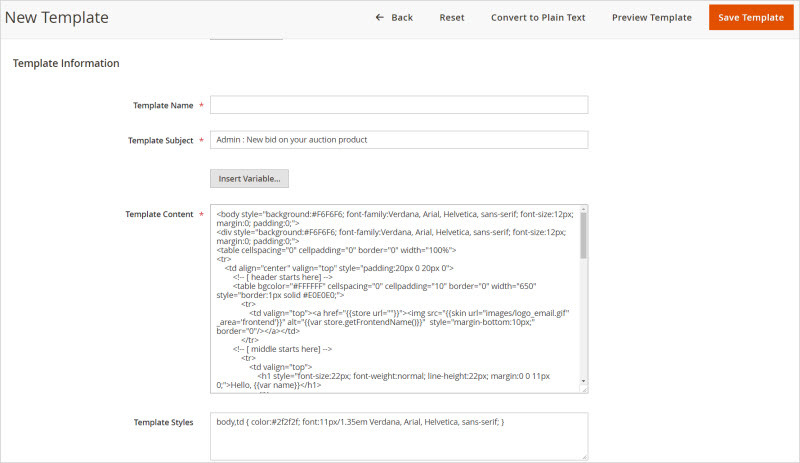 Already optimized SEO on Page, this extension is optimized SEO for auction page. 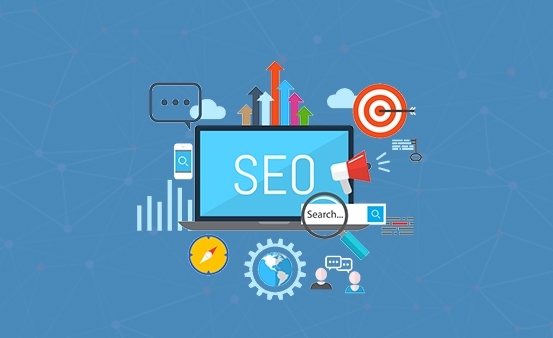 It is one of crucial elements to better Rank on Search Engine. Decrease time of product on your store. Depends on the hot of product, they can set a suitable of auction time. Compared with normal store, time of auction product is less than multiple times. 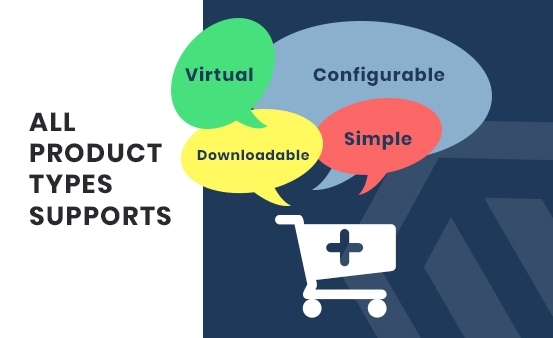 For any prevalent store or any international stores, the supports of multiple Linguals & RTL Languages are very important. 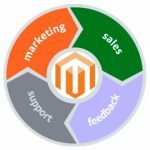 This Magento 2 Auction Extension let connect all wide range of customers on the world. 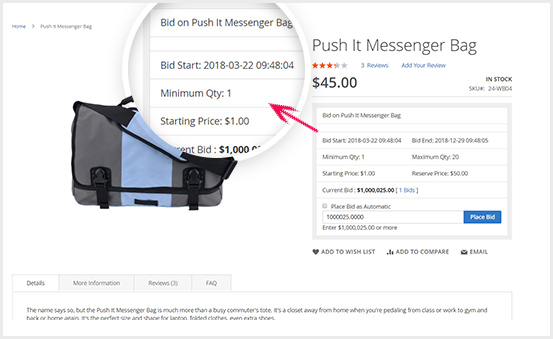 Nice design page, useful information from time start/end, current bid amount, bid place, quantity product, option to place standard bid or automatic bid. All of them are highlighted, which helps customers easy to follow. 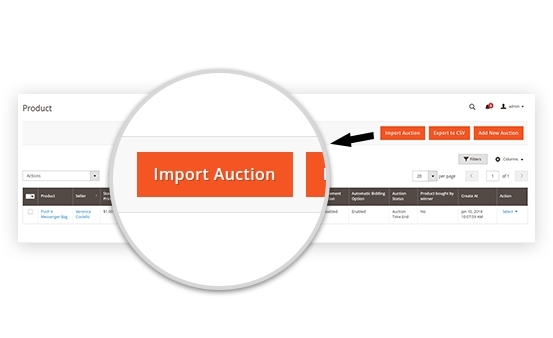 Firstly, Watch Video: How Magento 2 Auction Work? There are 2 types of Auction Supports. They are Standard Auction & Automatic Auction. 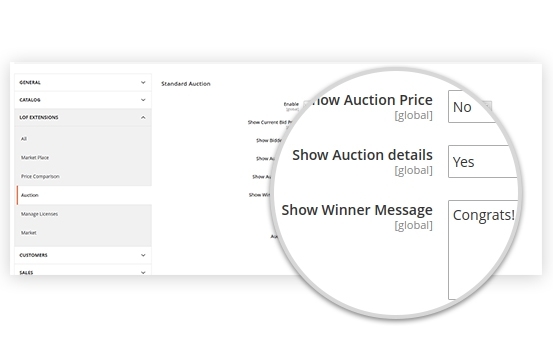 So when taking bid, customers can choose their auction for their bid. You can set them at Admin Panel. Don’t limit auction for product. 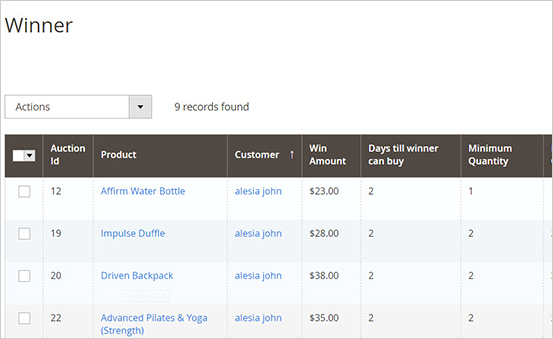 Store owner can display auction for product with start/end date, time/date countdown, current bid, suggested bid, etc which allow customers can place bid to bargain your product. Number of Days Till Winner Can Buy: It is an amount of time to delay purchase for winner. It is not compulsory to purchase as soon as auction ends. Increment Option: Enable/disable this function for product. 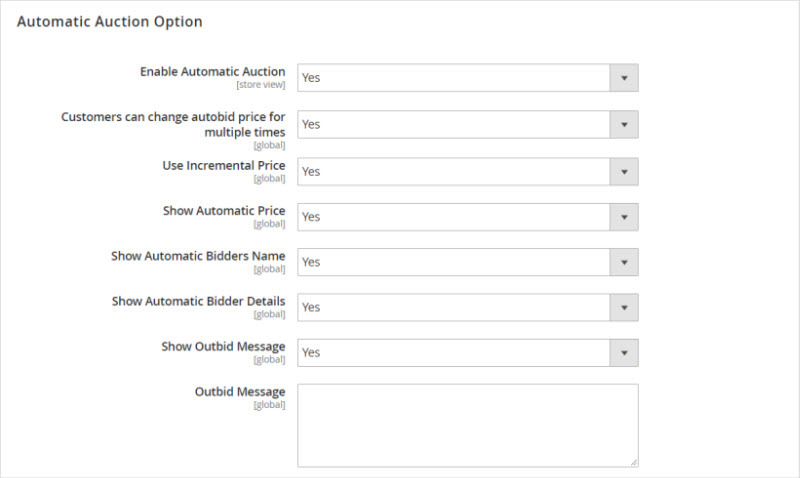 Automatic Option: Enable/disable automatic option which lets customers choose automatic auction or standard auction. 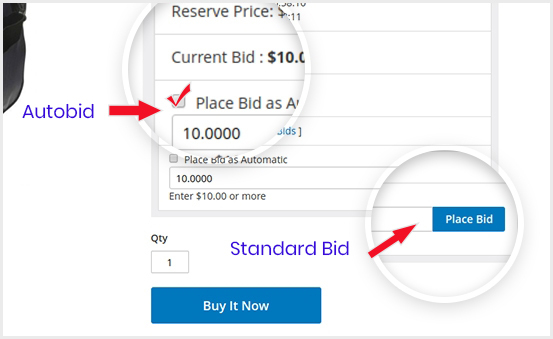 Buy it Now: Enable/disable this function to let customers purchase immediately without waiting for till auction end. 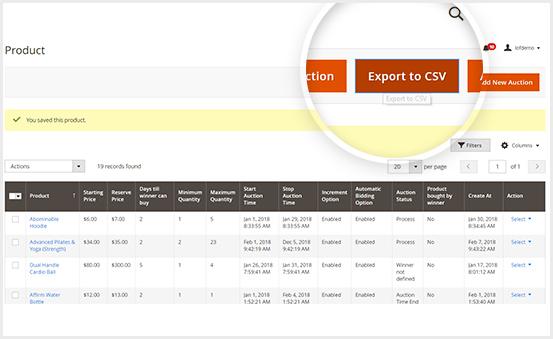 It’s inverse process with import Auction from CSV file, our Magento 2 Auction supports to export Auctions Information to CSV file. So it is the best way to take data. 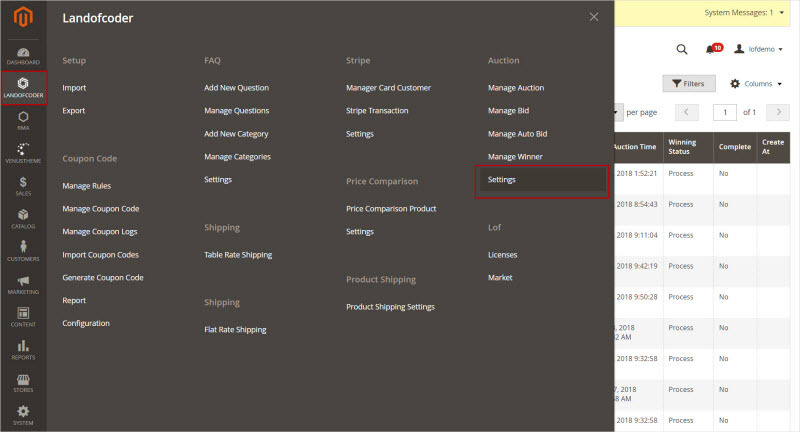 At the page manage auction, admin can choose product to edit, delete or update auction information. Bidding a an offer (competitive offer) is set by admin for product and it used to determine the cost of limit value product. Here you can see all winner auction with win product, auction ID, win amount, days till to purchase, start/stop auction time, status, etc. Standard Auction: If you choose standard auction, other bidder will know the latest highest bid, and will bid higher than. Automatic Auction: At the time to take autobid for product, both seller & other bidder don’t know the latest highest bidder to take bid. So the rate of becoming winner increases sharply. 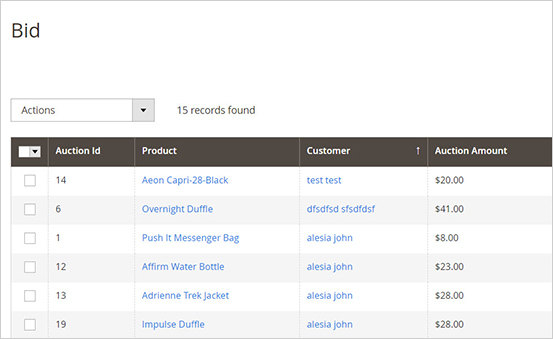 Autobid is an advanced function in Magento 2 Auction Extension. It allows to take bid easily. Because they don’t have to keep coming back to bid again when other bidder places bid. Reserve price:is an amount set at admin which they allows to sell product if bid is met or exceeded reserve price. Increment Bid : It is an amount is set by admin. It will be increased for each bid. And counted by predefined amount based on current high bid. Both customization & configuration, admin can use it very simple at the backed. Every functions are support to ease to use. Show Current Bid Price: Let other bidder know the current bid price to take for their bid at ease. When auction time ends, customers will see the notification about winner at this product detail. Admin can set auction rule for winner bid. The policy will be applied for Winner who is the only 1 person who take the highest bid for your products. 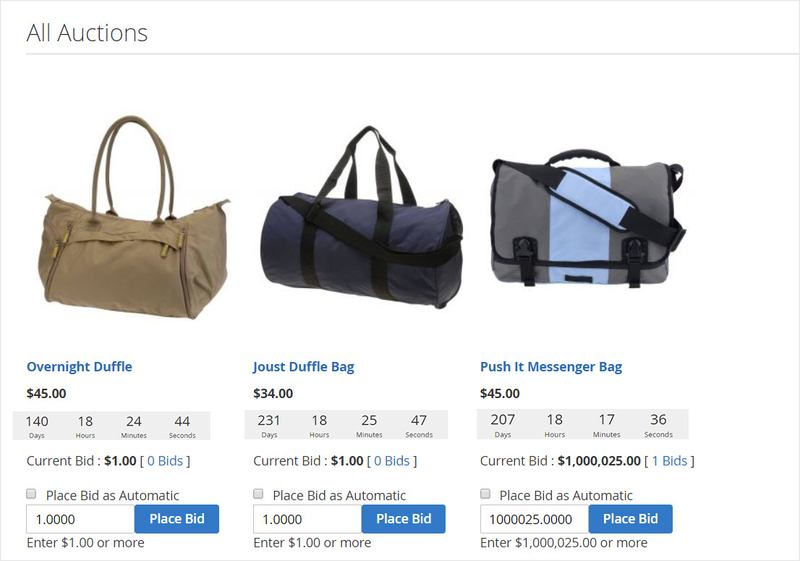 Create Unlimited incremental Auction which raise bid after each bid. 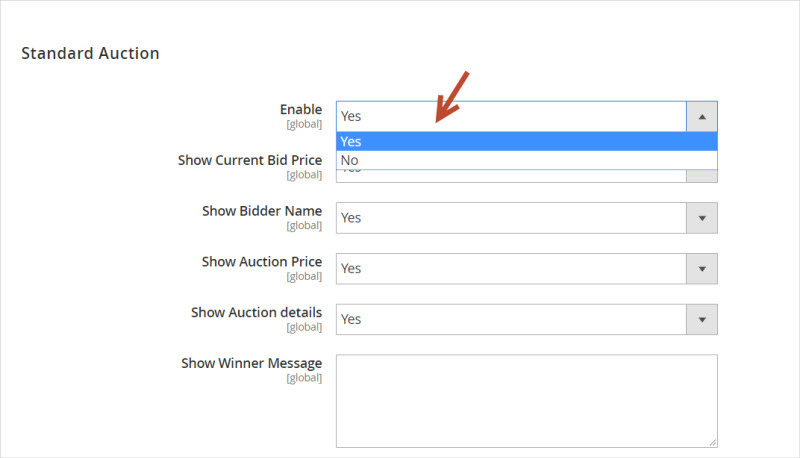 Enable Automatic Auction: Enable/disable this function to allow customers use Autobid for their bid. Use Incremental Price: Yes/No for apply incremental price when using autobid. 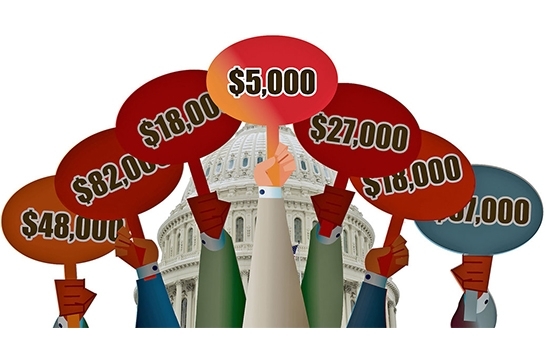 Show Outbid Message: When customers place outbid. They will get notification message for outbid to take another bid for auction. Outbid Message: Content of outbid message. You can set message for your own store. Enable/Disable Reserve Price for Auction: Avoid to sell product with low price. So set reserve price when auction ends, if the bid auction meets or exceeds reserve price, product can be sold. Auction Page: Build rich content for Auction Page with static block, bottom static block, meta title, meta keyword, feature title. Top Static Block: Choose premade block as you want. 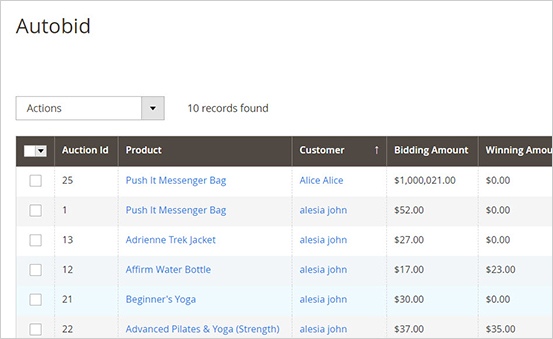 Displayed Ending soon Auction Title: For any Coming Auction product, you will see all of them on auction page. Displayed notification to announcing customers about ending soon time to speedup their purchase decision more quickly. Email Notification to Admin: Admin can control all auction operation. Email notification to outbid buyer: When people take out bid, they will get email & message notification to change other bid. 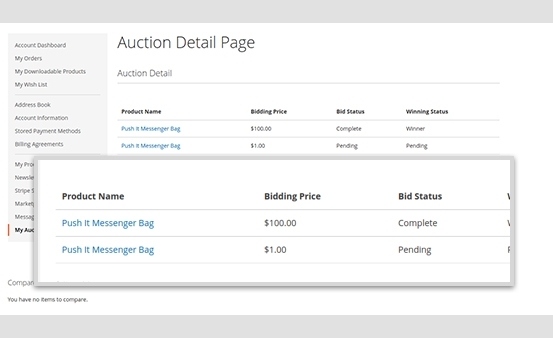 As soon as customers bid an Outbid, they will get notify for checking and change for suitable bid for products. 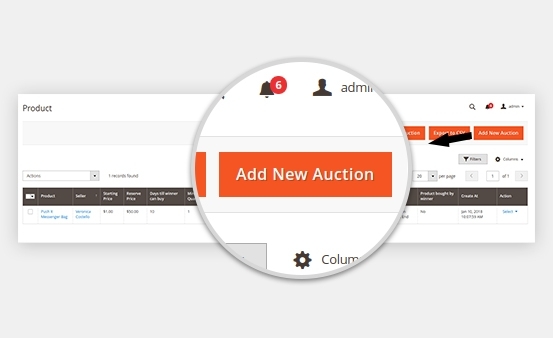 Surely, customers can get their auction result notification via email and their account on site also. 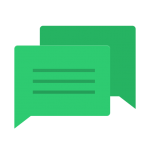 Message Notification can be kept changing. 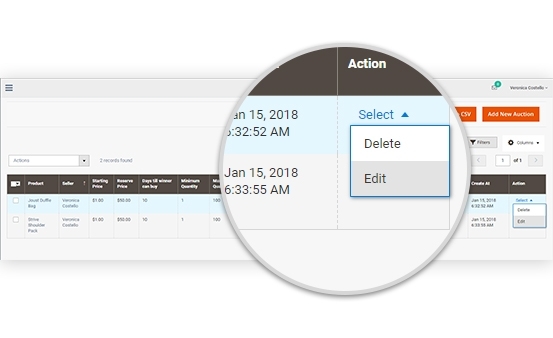 Admin can Add/Edit/Remove content message to suitable your store. It appears and help customers recognize your store among numerous Online Store in the Internet. As soon as you want to edit content of notification message or email, you can modify HTML content to better the circle of customers relationship. Get detail of history bid on bidder account. Here you can follow the status of your placed bids quickly. 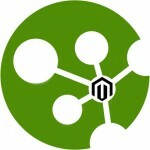 In our blog, we already introduce Amazing Magento 2 Auction Extension at Landofcoder. 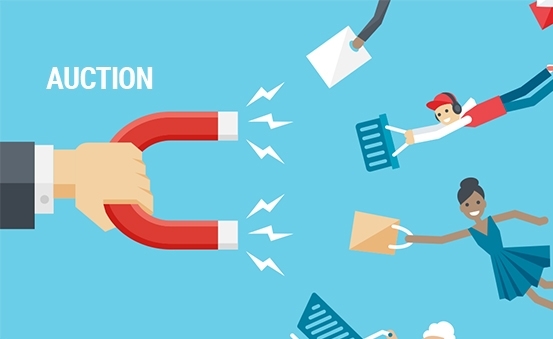 With Powerful Features for Marketing, Ease to Use & Customize and other benefits, our Magento 2 Auction Extension will be your smart solution to boost sale significantly. Rank, Traffics Improvement and customers excitement raise, Just $99, this Landofcoder Extension will make your website more popular. Furthermore, you will get 30-day Money back, 12 months support and Free Update Lifetime. If you have any question about our extension or this blog, please feel free to contact us via email: info@landofcoder.com, we will support you as soon as possible.